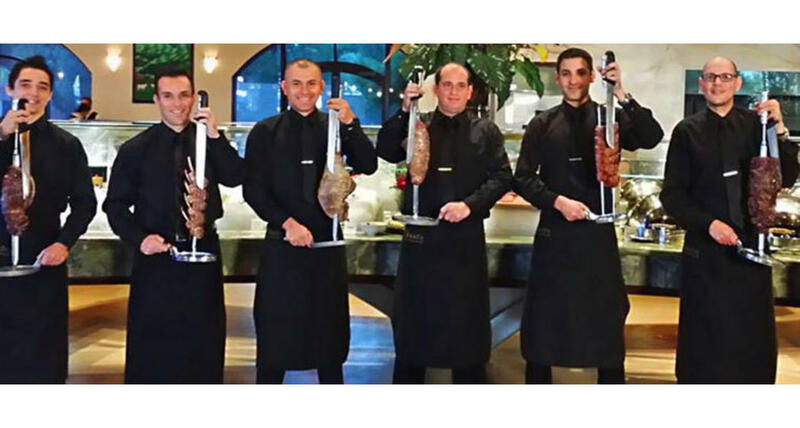 Via Brasil Steakhouse is an authentic Brazilian Steakhouse offering 21 Cuts of Meat, Chicken, Lamb, Beef & Fish table side, along with Gourmet Appetizer and Salad Bar. Via Brasil Steakhouse offers a fully stocked bar with bar and patio seating for up to 100 guests. Private and Semi-private dining rooms are available with seating for up to 150 guests and come fully equipped with 100" projection screen and Audio/Video equipment in a Private Room and 150-inch big screen in a main dining room as well as wireless microphones. The restaurant seating capacity is 376 guests and available for restaurant buyouts 24/7. Via Brasil Steakhouse offers transportation for all groups of 8 people or more.